ARO Construction provide house extensions throughout Solihull and Birmingham and surrounding areas, and take great pride on providing our customers with a top quality build which not only looks great but offers good value for money also. Our team of highly skilled tradesmen have the experience and ability required for ensuring that your extension is completed exactly to how you want it, and our exceptional attention to detail and craftsmanship is what has made us Solihull and Birmingham's most sought after building and construction company. If your not exactly sure of the design and layout you want for your new extension then our planning and drawing service may be of interest to you, we can help with all the necessary steps like planning permission and complying with building regulations. As soon as this process is all completed it will then time to discuss all the finer details for your project, like which materials you would like to use and the type of look you want to achieve when your new extension is complete. Whether your looking to have a kitchen/dining room extension or even a double storey extension in Solihull or Birmingham, ARO Construction are able to manage each and every stage of the project to ensure that your build completes on schedule and also on budget for you. 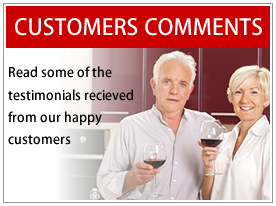 Customer satisfaction is of absolute paramount to us and we will not be satisfied until your house extension fully surpasses your expectations. A house extension is a great way of increasing significant value of your property as well as creating that much needed extra space for you and your family. With our meticulous eye for detail it helps us to ensure that the blending of the old with the new areas of your property is seamless. As house extensions and loft conversions are the most requested service by our customers, the knowledge and experience we have gained over the years becomes invaluable with the planning and designing of your new project. From possibilities of using Velux roof lights which help to brighten up the room with natural light to installing Bi-folding doors which can span the whole width of your house extension and open up to bring your garden into your room.